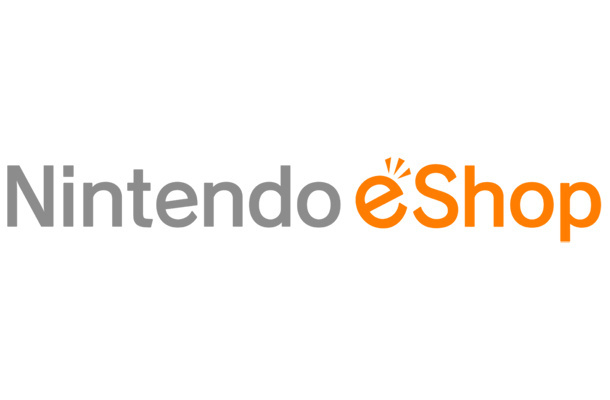 You might not have noticed with a little thing called E3 going on, but last week the Nintendo 3DS eShop turned one year old. Though the service started slowly, not even making it to the system's launch, it has morphed over the course of the last 12 months to become the decent digital portal that DSiWare and WiiWare should always have been. Join us as we don party hats and slice into some delicious 3DS cake to celebrate a year of the download service. The 3DS's online ventures started not with a bang or even a whimper, but a delay. Though the eShop was promised for launch day, it ended up missing day one and arrived a few months later instead, giving Nintendo extra time to get it 'right'. When it eventually did arrive at the start of June 2011, it was thankfully a significant improvement over Nintendo's previous digital store fronts. Not that it would have required much to best the slow, web-based WiiWare and DSiWare channels. The eShop arrived with a couple of free titles to placate fans: 3D Classics: Excitebike and Pokédex 3D. It was a platform built for speed and ease of access. Nintendo Points were no longer used for purchases; the cost of downloads was now far more upfront, priced in actual money. Virtual Console came to a handheld platform for the first time, starting with Game Boy titles. File size limits were lifted over previous services. Videos and information were available for titles. After a few weeks, Nintendo Video was made available for free download. A decent start, all told. Yet there were still a few problems; the shop front, though reasonably fast to use, was a single, confusing long line of sub-sections and titles; there were no central locations to find all DSiWare or 3DS-exclusive titles, for example. The search was the only way to find anything specific; it wasn't simple to browse around without purpose or specific titles in mind. Pre-pay cards weren't available in brick and mortar shops on time, shutting some off from eShop purchases for a while. These problems added to other issues that 3DS was experiencing. The eShop was the portal to compensation when Nintendo quickly dropped the price of the underselling 3DS, offering free downloads of 10 NES and 10 Game Boy Advance Virtual Console titles as long as the console had been purchased before a certain date. Gradually, though, fixes came. Downloadable content, demos and sleep mode download for several items at once were made available. Plans for web and mobile access have not yet come to fruition, but have been announced. The complaint of a lack of messaging on 3DS was addressed in part with the emergence of Nintendo Letter Box (Swapnote). 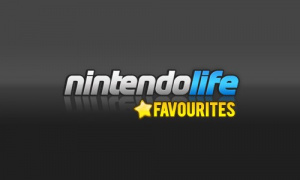 And let's not forget the time that Nintendo Life got its own section on the eShop for a week. A further spruce up came a few months ago and overhauled the look of the service. Multiple rows were added to the eShop's menu. 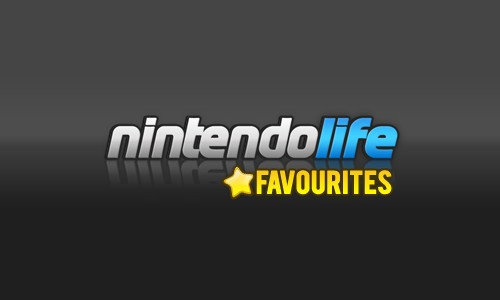 The weekly updated 'shelves' remain but are now complemented by static options containing DSiWare, demos, 3DS-exclusive software, videos, the numerous Virtual Console formats – now including Game Gear – and a recent release list to promote retail titles. It's more cohesive, much easier to understand and browse, is regularly updated with demos, videos and information, and generally looks more prepared for the future. Which is good, because there are a lot of games are on the way. During the last year, nearly five dozen 3DS-exclusive games have been announced or released on the eShop, not counting Virtual Console releases. The line-up started off slowly, with just a few quality titles such as Renegade Kid's Mutant Mudds and WayForward's Mighty Switch Force! gracing the service, but in recent months the output has amped up considerably. There are now several worthwhile titles on the service from numerous developers. Intelligent System's Pullblox (Pushmo) is a wonderful puzzle game, Vanpool experimented with new IP Dillon's Rolling Western, Nicalis released Terry Cavanagh's retro ace VVVVVV and have NightSky in the pipeline. Colors! 3D put painting power in the palm of your hand. Shin'en's wizards put out Fun Fun! Minigolf TOUCH! and Art of Balance TOUCH!, with a new Jett Rocket title on the way. Zen Studios' pinball titles have impressed, while the same developer's CastleStorm looks great. Bizarrely, FMV game Mad Dog McCree is making a return. The Game & Watch-inspired Johnny Kung Fu is one to watch. Other forthcoming games include Alien Chaos 3D, Pokémon Dream Radar, Unchained Blades, Aban Hawkins & the 1,001 Spikes and Viking Invasion 2: Olaf's Return. There's a lot to look forward to on the eShop, and the service seems to have proven itself profitable – at least to Nintendo – too. The turnaround not only from DSiWare to the eShop, but also from the last year's eShop to today's, is great. There's much more to come, too: with Wii U arriving, that mobile and browser connectivity is certain to climb higher up the priority list, and there's the promise of full downloadable retail games starting with New Super Mario Bros. 2 this summer. We can't wait to see how much the service has expanded in a year's time. Pretty good first year, I'd say. Just wish they had had some party favors. Oh well. Happy birthday eShop! Would've been nice if they released a free game on the eShop to celebrate. Oh well. Happy birthday eShop! As for free games, I don't really care. I just can't wait until our Heroes of Ruin demo appears. Can't say I've been blown away by the service so far but still I got a few Zelda games on the go now; thank's in large part to the ambassador thing so not bad if a little slow to get to games I actually want it seems. i dont think that they could have the games for free because the games are from other producers and they want to get the money. dont forget Zenonia !!!! a very good grinder rpg that reminds the snes era. and cave story !!! vvvv was great, but cave story was much better ! 1 year later and no Pokemon Red/Blue. I am a sad little pikmin. "Plans for web and mobile access have not yet come to fruition." Then what is the web browser? It sure had a rocky start, but seems be getting the ball rolling well. Look forward to more fun little games and retail games to hit the eShop this year! @uel The web and mobile access is to access the eShop from multiple places. They were not talking about the the 3DS' browser. A year ago I was trolling Nintendo's Facebook page at midnight, asking where their promised eshop was. Probably wasn't productive at all, but whatever. Good 3D games and a very very very small VC section. so far i am disappointed with the eshop. very few good games on there. and the prices are too high for my taste. why so few VC games? Loving the eShop games. 'nuff said. It was a good year, but there's a whole lot to improve on. Besides all the games that are arriving in the near future, an update to the system that'd allow wireless multiplayer on all virtual console games would be nice if possible. Oh, and Game Boy Advance games please! 1 year passed already for the eshop? Wow! Time flies! Despite slow start, it's still pretty good stuff. So far so good but NOA is kinda making the eShop momentum slow down. Dillon's Rolling Western is easily my favorite thing on offer yet. After Excitebike 3D, Pokédex 3D, Four Swords and the 20 Ambassador games, are people still asking for free games? Not to mention the games that you can get for coins at Club Nintendo. Anyway, there are definitely some gems there and I hope that it keeps growing. No SNES games still.....i don't get it, the 3DS is perfect for portable SNES games. Then again when do Nintendo ever listen or put 2 & 2 together?! Not recently that's for sure! 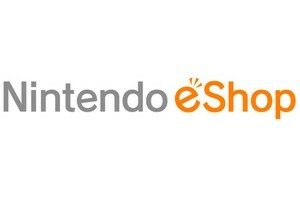 eshop rocks - much better than Wii shop channel, 4sure. I love the eShop. And I'm ready to blow a cool $20 this summer on it. Aww, thanks for the Little Shop of Horrors reference, it really made my day! 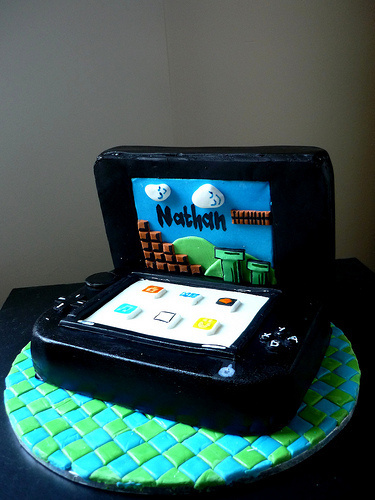 Oh, and Happy Birthday, eShop! Thanks for everything! Pretty great first year. Pushmo, Mighty Switch Force!, VVVVVV, Mutant Mudds, Sakura Samurai, Ketzal's Corridors, Rolling Western, Zen Pinball 3D, Kirby's Adventure 3D, Kid Icarus 3D, Colors! 3D, and Art of Balance TOUCH! are all great games that one could argue are all must haves (heck, even Twinbee 3D and Xevious 3D would make worthwhile purchases, even if they're not must have). The eShop has gotten a plethora of great "3DSWare" in it's first year, that much is very clear. Also, with titles like Cave Story+ 3D, Night Sky, Aban Hawkins & the 1,001 Spikes, Unchained Blades, Bomb Monkey, and ATV Wild Ride 3D on the way, it looks like the winning software is just going to keep on coming. Let's not forget the burgeoning demo selection, and soon to be retail downloads. I have to say I am very pleased with how the eShop is now. Nintendo finally seems to know what they are doing online. Also, I love that it is evolving and improving over only such a short period of time. Happy birthday to you,Happy birthday to you,the eshop is awesome, and I can't wait for wii u! 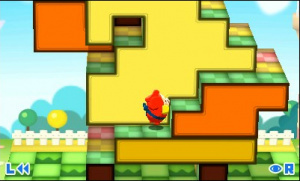 It has fantastic games like Pushmo and it needs to have more demos. Dillon Rolling Western screams for one. I want one. @6ch6ris6 ... are you serious? few vc games? ...it'll come eventually. Not every console the Wii VC currently supports was available in the first year. The eShop is quite amazing. It still needs to improve some things, but the eShop is really great. I want to buy a lot of downloadable games. The eShop is definitely my favorite online Nintendo store so far. Maybe because I love the little orange shopping bag. Happy late birthday eShop! Can't believe it's been a year already. Still haven't actually bought anything from it. Maybe I should. Wow. It's kinda strange to look back now since the eShop has developed quite a bit imo. I've gotten so used to the enhancements in the last six months that i nearly forgot the more painful times it had at the beginning. Personally i think the biggest thing for me was to finally be able to only pay for one game at a time. I never thought we'd see the day. And they're having more 3D videos now which also was quite rare in the beginning. 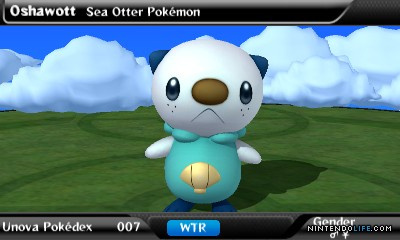 It's already my favourite thing about the 3DS and it looks like there are a lot more great games to come out of it. Really like it. The change to actual price amounts made no difference to us Americans, as the Wii's Nintendo Points are based on American dollars to begin with. What was really helpful was finally allowing us to charge only the needed amounts to our debit/credit cards (for those of us old enough to have them) and avoid the old nusance of leftover amounts, especially now that the prices end in 99 cents instead of the even dollar amounts on the Wii (or even weirder amounts for those of you unlucky enough to live in states with a download tax). @battLeToaD Except it's too bad that the majority of the 3D videos are those stupid 3DNet documentaries. Well, in North America, anyway. I'm not sure how different the videos are in the PAL areas. @BulbasaurusRex: I meant the trailers.